Acadia plans and executes lead generation strategies for technical, industrial, manufacturing and engineering organizations. Founded by engineers, Acadia knows technical products and solutions. Acadia connects with engineers, procurement or project management professionals on our client’s behalf, and we speak their language. Learn more at http://www.acadialms.com. HubSpot ($HUBS) is the world’s leading inbound marketing and sales platform. 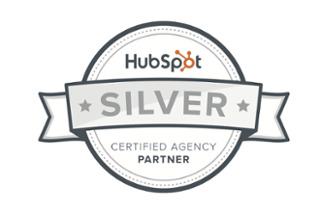 Since 2006, HubSpot has been on a mission to make the world more inbound. Today, over 15,000 customers in more than 90 countries use HubSpot’s software, services, and support to transform the way they attract, engage, and delight customers. HubSpot’s inbound marketing software, ranked #1 in customer satisfaction by VentureBeat and G2Crowd, includes social media publishing and monitoring, blogging, SEO, website content management, email marketing, marketing automation, and reporting and analytics, all in one integrated platform. HubSpot is headquartered in Cambridge, MA with offices in Dublin, Ireland, Sydney, Australia, and Portsmouth, NH. Learn more at www.hubspot.com.